Hello! Can I get a detailed instructions how to fix these errors. I'm compiled a standart project called "Hello word" (for Iphone). Sorry for my English (I'm from Russia). Make you have set Application name and Identifier in project properties. 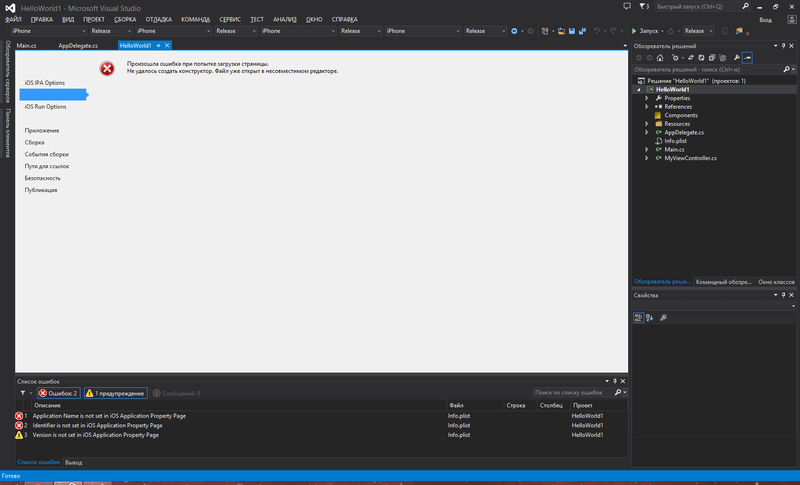 I got a Microsoft Visual Studio Professional 13. Windows Embedded 8.1 Industry pro (x64). Error text: "An error occurred while trying to load the page. Failed to create a constructor. It is already opened in an incompatible editor."